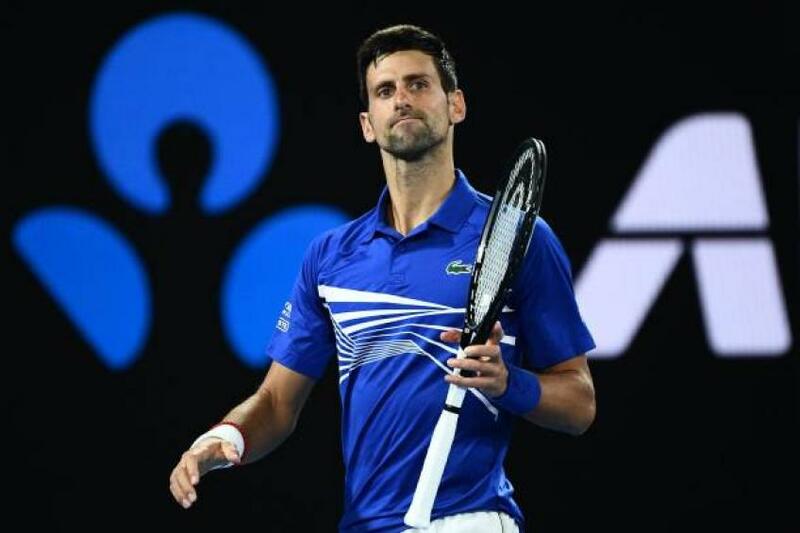 World No 1 Novak Djokovic marches towards his third straight Grand Slam final after reaching the semi-finals of Australian Open with the retirement of Kei Nishikori. Djokovic had taken a 6-1, 4-1 lead when the Japanese opponent was unable to continue because of pain in his right thigh. Nishikori, the eighth seed had spent 13 hours and 47 minutes on court in Melbourne this year to reach the last eight and was struggling from fatigue from the start. Nishikori received a medical timeout after losing the first set 6-1 in 31 minutes wherein he had treatment on his right thigh. He bravely continued winning his next service game but was trailing 4-1 when he removed his baseball cap and signaled to the chair umpire and his opponent that he is unable to continue the match. Djokovic wished his opponent a speedy recovery and added,” It is kind of hard to judge what has affected his psychologically tonight but physically he was obviously hurt”. Novak Djokovic is now to beat Lucas Pouille in the next round on Friday morning and Rafael Nadal meanwhile will face Greek youngster Stefanos Tsitispas next.